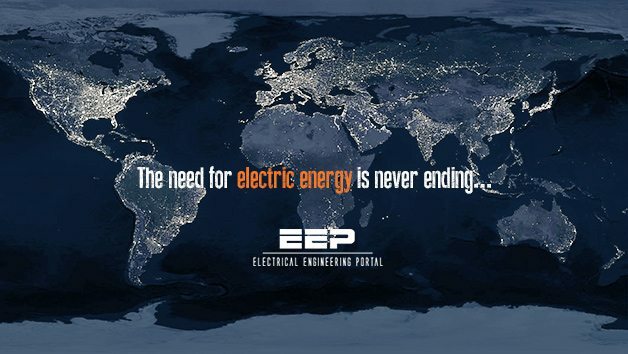 As you guess, yes, the need for electric energy is never ending. Along with the growth in demand for electric power, sustainable development, environmental issues, and power quality and reliability have become concerns. Distributed generation entails using many small generators of 2 to 50-MW output, situated at numerous strategic points throughout cities and towns, so that each provides power to a small number of consumers nearby and dispersed generation refers to use of even smaller generating units, of less than 500-kW output and often sized to serve individual homes or businesses. Later publications tend to combine the two categories into one (i.e., distributed generation), to refer to power generation at customer sites to serve part or all of customer load or as backup power, or, at substations, to reduce peak load demand and defer substation capacity reinforcements. Distributed generation is not a new concept since traditional diesel generator as a backup power source for critical load has been used for decades. 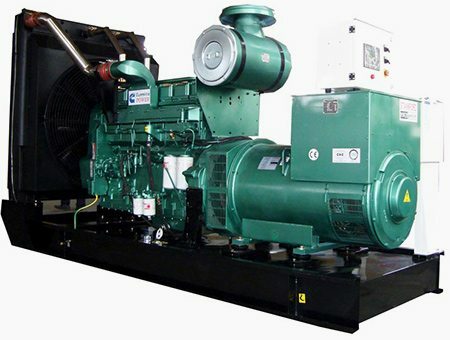 However, due to its low efficiency, high cost, and noise and exhaust, a diesel generator would be objectionable in any applications but emergency and fieldwork, and it has never become a true distributed generation source on today’s basis. What endows new meaning to this old concept is technology. Environmental-friendly renewable energy sources (such as photovoltaic devices and wind electric generators), clean and efficient fossil-fuel technologies (such as micro-gas turbines), and hydrogen electric devices (fuel cells) have provided great opportunities for the development of distributed generation. Gas-fired micro-turbines in the 25 to 100kW range can be mass produced at low cost using airbearing and recuperation to achieve reasonable efficiency at 40% with electricity output only and 90% for electricity and heat micro-cogeneration. 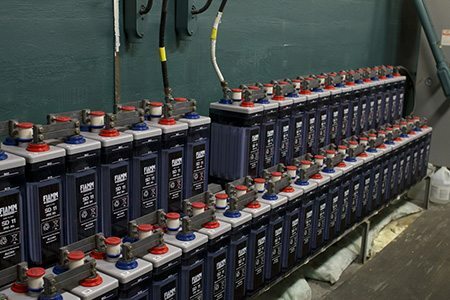 Fuel cells have the virtue of zero emission, high efficiency, and reliability and therefore have the potential to truly revolutionize power generation. The hydrogen can be either directly supplied or reformed from natural gas or liquid fuels such as alcohols or gasoline. Individual units range in size from 3 to 250 kW or even larger megawatt size. The fastest growing renewable energy source is wind power. On a worldwide basis, available wind energy exceeds the presently installed capacity of conventional energy sources by a factor of four. Photovoltaic systems can be used in a variety of sizes and show better potentials in those areas with high intensity and reliability of sunlight. Besides these power generators, storage technologies such as batteries, ultracapacitors, and flywheels have also been significantly improved. Flywheel systems can deliver 700 kW for 5 sec., while 28-cell ultracapacitors can provide up to 12.5 kW for a few seconds. To apply the above generation and storage technologies in an DG environment involves new technical problems. Distributed generation (DG) units require power electronics interfacing and different methods of control and dispatch. A DG unit should be able to operate under either island mode or grid-connected mode. In island mode, it should provide steady, low regulation error, low total harmonic distortion (THD), and fast response AC power under various load disturbances. In grid-connected mode, it should give steady-state decoupled active power P and reactive power Q control and proper behavior under connecting, disconnecting, and reclosing operations. If multiple units are paralleled on the same terminal or bus, correct load sharing should be performed among the units. A DC/AC voltage source inverter (VSI) is the most widely used interface for DG units, which involves many topology and control aspects under different operating conditions. Only with satisfactory control performance of each individual unit can paralleling two or more inverters or connecting one or more inverters to the power system be conducted. This involves P and Q control under various local load characteristics and operating conditions. As stated above, the tremendous complexity in the power electronics interfaces for DG units creates many research problems as well as many possibilities to advance technologies. Many of the problems have been solved or partly solved, while many are still left unsolved or even unfound. In general, a practically functioning DG system has to properly solve possible technical problems in the following three categories: control of a single inverter unit with quality voltage output in island mode, control of line real and reactive power flowing between a DG unit and the utility grid in grid-connected mode, and control of front-end power generation or conversion for high performance and low overhead. Due to the great potential of DG technologies, these research problems deserve special attentions and warrant careful further investigations. how can i download this article !!!!!!!! !